Posted March 11, 2016 by Charles Morris & filed under Newswire, The Infrastructure. The EV charging markets in the US and Europe look very different, but at least one company is building bridges across the pond. EV-Box, a Dutch firm that was founded in 2010 and has an installed base of over 36,000 charging points in 20 countries, now has an office in Brooklyn. EV-Box’s North American HQ is based at the New York University Polytechnic School of Engineering’s ACRE incubator, a center of clean-tech innovation. The company will be manufacturing charging stations in Richmond, Virginia. In EV-Box’s home market, the Netherlands, it claims a market share of over 60%, and has recently expanded its operations to France, Belgium and Luxembourg. 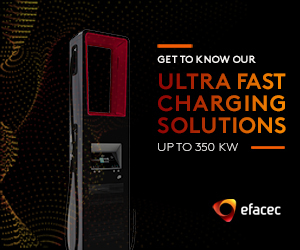 The company’s charging solutions feature cloud-based smart technologies, such as load balancing, smart charging and peak shaving. Is that a cell phone charger or what?